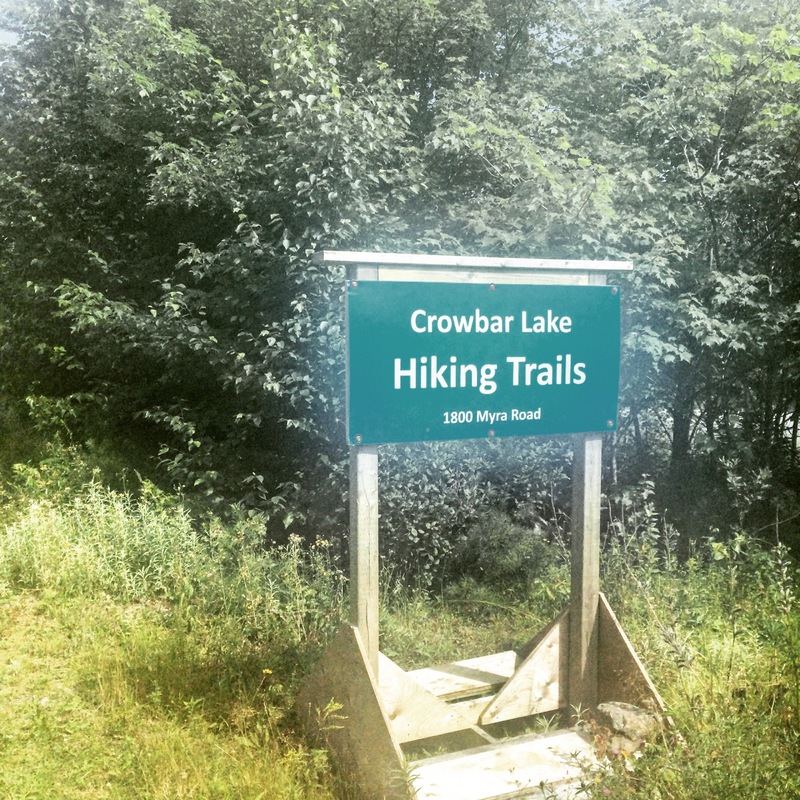 Crowbar Lake Trail offers a scenic and challenging hike within the HRM. The trail is located deep in the woods in Porters Lake, which means the heat can get oppressive. We recommend this fabulous trail for a cooler day. The trail is a total of about 9 km each way (or 18 km return). We’ve only hiked the first 4 km, which brings you to the first significant body of water, Granite Lake. There are some limited trail maps along the way, and the trail is marked with red metal markers on trees, but there are no kilometre markers. We recommend snapping a photo of the trail map so you can refer to it as you hike. You can read more about our experience at Crowbar Lake Trail here. From the Circumferential Highway (Hwy 111), take exit 6B onto Main Street. Continue up Main Street (which turns into Hwy 107) for 19.6 km. Take exit 19 toward West Porters Lake/ Lawrencetown, and turn left onto West Porters Lake Road. At the end of West Porters Lake Road, turn left, then immediately turn right onto Myra Road. Continue on Myra Road for 8.1 km. The parking lot will be on your left.